Bud, and I if I'm honest, are huge fans of Tractor Ted. For those not in the know, Tractor Ted is a friendly Tractor who features in a range of books, DVDs and merchandise. Bud loves farms and is slightly obsessed by farm animals and machinery so Tractor Ted has been a huge hit in our house since we discovered him a while ago. I'm delighted that we're now going to be working with Tractor Ted and the first product I have to show you is the brand new Activity Book 2 released just in time for Easter and featuring 'eggstra Easter treats'. This is very much a Spring book and the contents all tie in with new life, baby animals and the farm machines getting the fields ready to grow crops. The first thing to note is that this is not a story book, It's not something that is designed to be read. Every page can be interacted with, whether it's learning pencil control by following dot trails to write words, colouring, or matching baby animals with their parents. It helps with hand eye coordination, counting, number recognition and learning about animals. 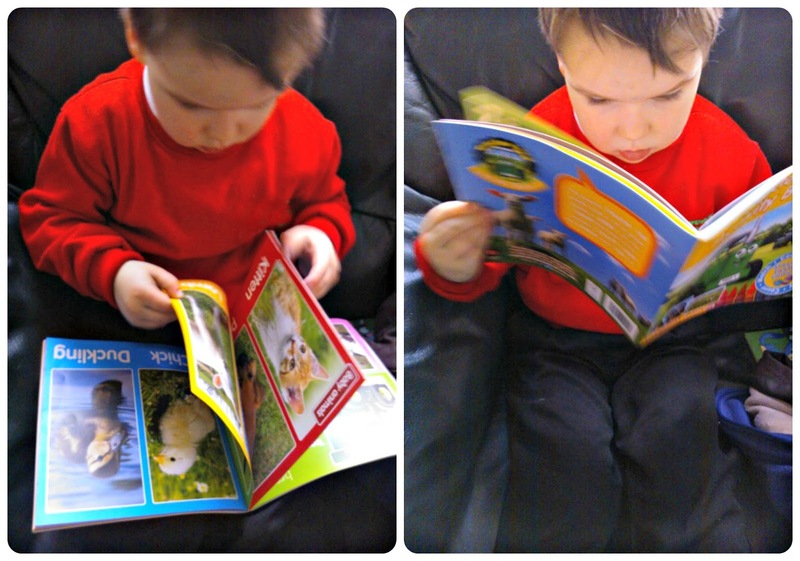 Activity Book 2 is great quality, the pages are full colour and tough. They aren't likely to be ripped by a too-rough Bud, which is always good news for us. The cover is glossy and each book has 32 pages. The content is designed to fit into the Early Years Foundation Strategy and it is perfect for Bud just now. We're really trying hard on pencil control just now and looking at CVC (Consonant-Vowel-Words) and the book features plenty of opportunities to do work on those. At not quite four there is plenty to interest and engage him and we've spent rather a lot of time looking at, and working on, this book since it arrived here. The book is priced at £4:99 which represents excellent value for money. I think this would be the perfect Easter gift, if you are looking for an alternative, or addition to chocolate. 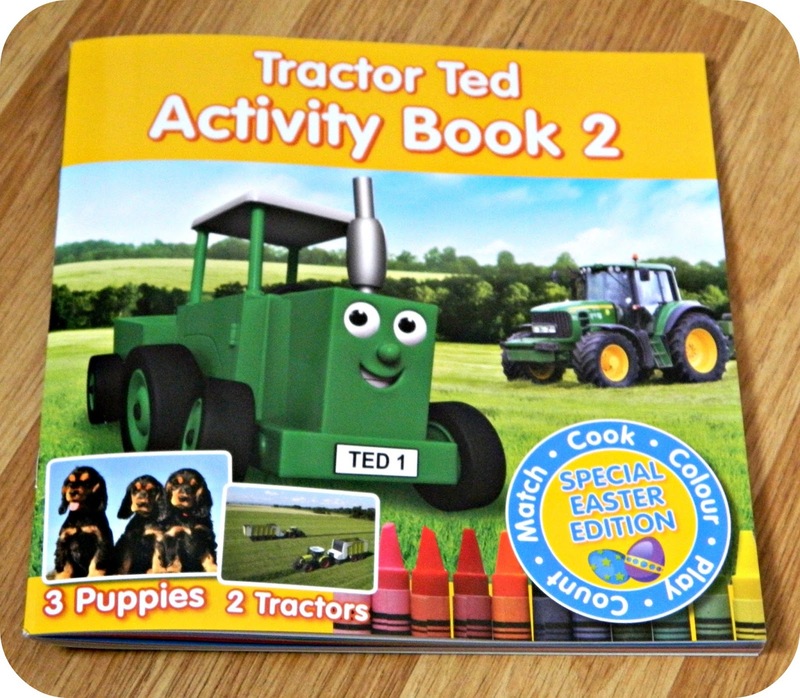 Tractor Ted Activity Book 2 is available from www.tractorted.co.uk and country stores nationwide. Tractor Ted have also released a range of Spring printable alongside the new book, my friend Anna at In the Playroom has a fab post featuring them here. If you'd like the chance to win one of five copies of the book then my friends Eileen and Kel are running givesaways over at their blogs - ET Speaks From Home and Writings, Ramblings and Reviews.